Ooooo, look at those subtle color patterns. We've got cookie bits everywhere! I love this one from the first bite. Well, maybe not love-love but I enjoyed every bite. 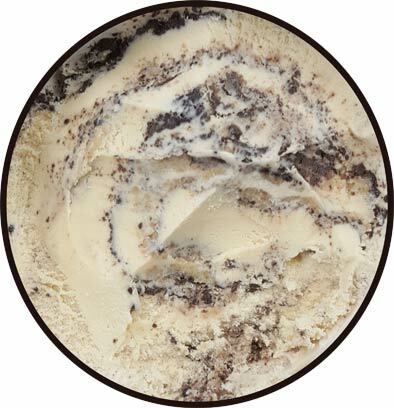 I never really got a huge marshmallow vibe, but the overall cookies & cream vibe is great and that is enhanced by varying levels of graham complexity. Sometimes you get a ton of swirl (my later bites), and sometimes you get just a hint of added complexity. No matter what I got though, I enjoyed the bite and eagerly scooped for the next one. I actually didn't get a ton of fudge chunks in this first serving (at least a third of the pint). They did add some fun crunch, but there is enough going on that you can manage without them. Texture is typical B&J's ofcourse, though the swirls add a bit of grit (which I almost always enjoy). 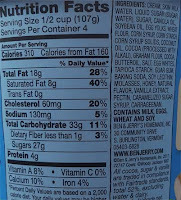 So great first scooping and exactly what I expect from Ben & Jerry's. 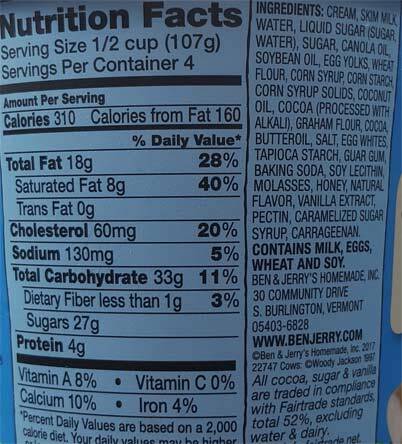 I try to point out now and then that unfortunately Ben & Jerry's gets held to a higher standard but it's flavors like these that remind you what they can do. Again, I didn't get a ton of marshmallow vibe so I can see potential disappointment there, but still a tasty first impression. 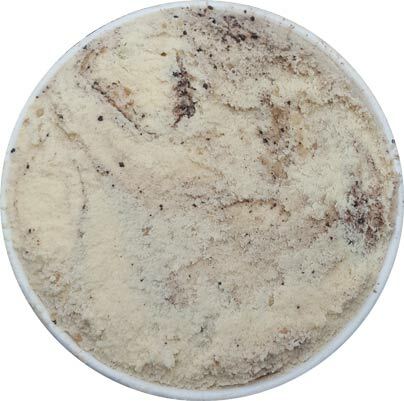 On Second Scoop: This is the kind of flavor where you think about it a ton but then have just a bit of hesitation on that first bite because you fear it won't be as good as you remember. Well, it took all of three bites to go "yeah, I still really dig this one". Granted I got a pint that's low on fudge flakes which I think would have made it better, and technically that kind of wheat-y / flour-y flavor might be a little too strong for some, and technically I still don't really taste marshmallow, but I still really like this one. Just look at how the two swirls come together. That's #funfactor, plain and simple. This ice cream flavor is everything. And whenever you eat it, you too, become everything. It is the "Prize" of ice cream. I think I may weep when it gets discontinued. Did I mention I really REALLY love it? Despite not tasting like marshmallow (more like burnt sugar) it's the best S'mores ice cream I've ever had. 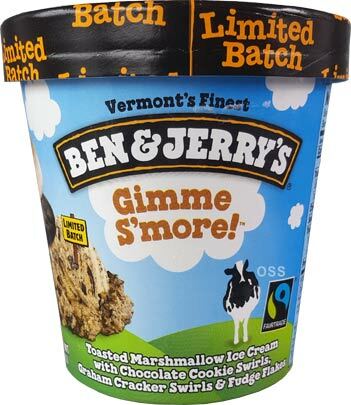 Ben & Jerry's *actual* S'mores ice cream that's part of the permanent lineup is dominated by dark chocolate. Have either of you tried the S'mores flavor from Coolhaus? I expected to like it. I did not expect it to be the best pint of ice cream I had for all of 2017. A much better S'mores attempt than the standard flavor from the company, but certainly still lacking in faithfulness. The chocolate cookie crumbs overpower what little graham cracker crumbs are there, and the fudge flakes as mentioned are limited. Which is a shame because when I actually managed to get a spoonful of graham cracker, fudge flakes, and the base, it came close to tasting like the real deal. Still, this was a delicious flavor. The base reminds of the "Sweet Cream" flavor you'd find at Coldstone Creamery, and the other components balance it out well without overpowering it. This, Glampfire Trailmix, and Caramel Chocolate Cheesecake Truffles are hands down the best of the year. I was pretty let down with the execution of what it was supposed to be versus what it was. The graham cracker swirl was dominated to the point of not being identifiable. It tastes fine but it's too much like Milk & Cookies with out the cookie pieces.